"What the heck?" The Taz is mystified by the results of his experiment. For the Science Fair, my 4th grade son created a very extensive experiment to find out which can of soda would spew the most from pent up carbonation. He used a Diet Coke, a regular Coke, and Squirt. 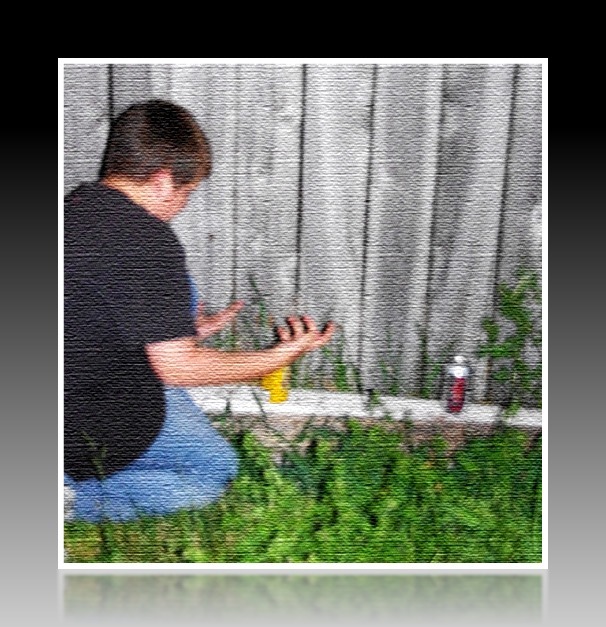 In this vital experiment, he shook each can vigorously while we all stood by and waited, camera ready to capture the defining moment when we’d find out the true results. Unfortunately soda spew can be finicky, and the carbonated soda was projected with barely a send-off. In fact, it was almost like he hadn’t shaken the soda at all. The only one that seemed to bubble and froth at all was the Diet Coke, probably from all the chemicals that deem it sugar-free. Unfortunately, some experiments just don’t turn out the way we plan. However, sometimes they turn out better. Not in my son’s case- that one just plain failed. But in the case of an 11th grader, his Science Fair entry had the power to change the world. While my son was preparing cans of soda for a doomed experiment, Marshall Zhang of Toronto, Canada was busy creating a science experiment for his own Science Fair. The fair’s purpose was to have teens work with mentors to create a research project. Marshall had his own idea for a project, but wanted to be able to conduct it like a real scientist. So he contacted every professor he could to be able to work in their labs. “Most of them said ‘no’ because I didn’t have the experience I needed,” he said. “I emailed the entire list of faculty in biochemistry at the University of Toronto.” Dr. Christine Bear, the very last professor on the list, said yes. Marshall’s focus was on Cystic Fibrosis, a devastating genetic disease of the lungs that is generally fatal once a patient reaches their teens. It creates thick mucus in the lungs that must be loosened by repeated pounding on the back. And there is no cure. Using a supercomputer, Marshall discovered two drugs that attacked the protein responsible for CF in different areas without attacking each other – meaning they could be used at the same time. He tested them on living cells, and the results were better than he anticipated. The two compounds worked together to defeat the defective protein – and proved stronger than the CF protein. Of course, the discovery still has to be tested on the human body to see if the results can be replicated on a subject with CF. And anything could happen – including toxic or ineffective results. But the discovery of these two compounds that work together instead of against each other in the treatment of a disease is groundbreaking in itself, and opens the door for future discoveries in disease research. But imagine if Dr. Bear had said “no”, or if Marshall had given up long before reaching out to her. It’s possible that this discovery would never have been made. To me, this is not only a show of what persistence is capable of, it’s also proof that everyone is capable of great things no matter their age, their background, or how much they’ve studied in a subject. Scientists who have been studying CF for decades were not able to discover this treatment. It took a fresh pair of eyes with a new perspective to come across a breakthrough discovery that could help save the lives of those suffering from this debilitating disease. 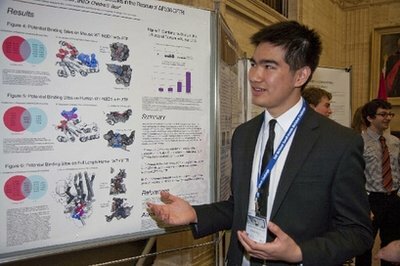 Oh, and in case you were wondering, Marshall Zhang received first place at his Science Fair. And Dr. Bear has invited Marshall back to the lab any time he wants to continue his research. My son? He was a participant, just like everyone else who entered the Science Fair in the 4th grade. But who knows? Maybe this experiment will inspire his own world-changing invention of an unspewable shaken soda – thus ruining practical jokes far and near. Have you ever insisted on pushing forward with something you believed in even while those around you were negative about the possible outcome? This is wonderful news to me…I have two cousins with CF…one passed away at 13, the other just turned 30. Every day is a gift.